Corrs Chambers Westgarth (Corrs) has won the award for innovation in Social Responsibility in the recent 2017 Financial Times Asia Pacific Innovative Lawyers Awards (the Awards). 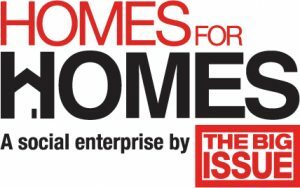 Working with long-term client, The Big Issue, the firm created a legal mechanism for ‘Homes for Homes’ – a newly launched initiative to tackle the lack of social and affordable housing in Australia. It is the first initiative of its kind in Australia. Lack of affordable and social housing is becoming one of Australia’s most significant social issues. There is currently a shortage of 200,000 affordable houses, with this expected to increase to 600,000 over the next 20 years due to a severe lack of funding for new housing projects. Homes for Homes aims to address this issue by creating a long-term solution that allows Australian property owners the opportunity to voluntarily participate in, at the time they sell their property. The initiative works through Homeowners (Donors) being encouraged to donate a tax-deductible 0.1 percent of the sale price of their property to fund social and affordable housing projects. It is estimated that the ‘Homes for Homes’ initiative will raise $1.8 billion over the next 30 years. Lawyers involved have created an innovative legal mechanism enabling arrangements to be made through a special condition in the contract of sale and a separate donation deed, both of which are entered into by the Donor when they purchase the property. The donation deed allows Homes for Homes to lodge a permissive caveat on the title of the property by Homes for Homes. This caveat stays in place when the property is transferred to any new owners to prompt them to make a similar donation every time the property is sold in the future. However, new property owners are free to remove the caveat at any stage if they do not wish to take part in the scheme. The initiative required creative thinking and bespoke legal expertise in property, land title requirements and legal structures to ensure its viability and success. The mechanism works within the framework of existing state laws and is nationally applicable. Corrs collaborated with Herbert Smith Freehills (HSF), Clayton Utz and Minter Ellison on the initiative. The lead property work was done by Nathaniel Popelianski (Corrs) and David Sinn (HSF) as co-counsel. 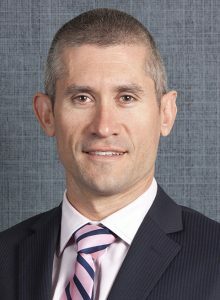 Minter Ellison advised on corporate governance issues, with Clayton Utz advising on establishing the scheme in the Australian Capital Territory and Corrs advising on establishing the scheme in Queensland. Two Australian property developers, Grocon and Capital Estate Developments, have pledged to include the caveat on a number of their property developments. 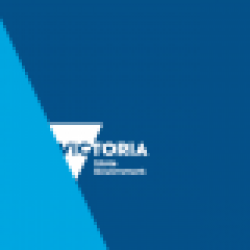 Chairman, Pro Bono & Community at Corrs said, “Corrs is delighted to have advised on this game-changing initiative to address social and affordable housing issues in Australia, and Nathaniel and his team should be incredibly proud of their work on this matter. Jeremy King, Corrs Chambers Westgarth. Also at the Awards, Corrs CEO John Denton was honoured as one of the ten most innovative individuals in the Asia Pacific region.